Throughout the winter months, diesel trucks carry products from one location to the next, buses take people where they need to be and businesses of all types rely on them for various services. Diesel vehicles play a large part in the American transportation industry, however colder winter weather can be problematic for these trucks. Explore information on how to avoid diesel problems in the winter. Fleet managers, drivers and pickup truck owners who work with diesel vehicles need to understand the potential diesel problems in the winter that these trucks can face. Explore some of the common issues diesel trucks face during cold weather. In the winter, it’s common for diesel trucks to have startup problems. While newer trucks have features designed to limit this problem, it is still going to be a problem to a certain degree. The very nature of diesel fuel and its composition can create this problem. Diesel is made up of hydrocarbons that can solidify when the temperature drops to 40 degrees below Fahrenheit. When this happens in the winter, the fuel becomes gelatinous, and the truck will not start properly. The gel-like fuel cannot flow through filters and properly start the engine. This problem is common to both petro diesel and biodiesel. In order to help combat this problem, fuel companies offer a winter blend during cold months. Winter diesel has a blend of hydrocarbons that have a lower freeze point. It is more costly, but it keeps trucks running in most winter weather. However, this does not help if the weather is unseasonably cold and the fuel suppliers have not made the switch to the winter diesel. If you are caught in an unseasonably cold weather situation, consider leaving the engine idling when possible. While this will limit your fuel efficiency, because idling does burn fuel, it will keep the fuel warm and prevents it from gelling. Additives and fuel treatments can be added to the fuel for the express purpose of preventing gelling and avoid disaster when diesel problems occur in the winter. This is a better option, when possible, than idling because these additives were designed specifically for this purpose. Keep in mind that most fuels reach their cloud point “between 20 degrees F and -18 degrees F. Make sure to use an all-season additive or one that’s specifically designed to shine in cold climates.” (Diesel Tech). Finally, consider having an anti-gel on hand in your truck during winter months. Most anti-gels will work even if the fuel in your vehicle has completely gelled. You simply have to pour the gel into your fuel take and wait a few hours for it to do its job. While not necessarily a problem unique to winter, diesel engines can suffer when deposits build up in the combustion chamber over time. This can lessen fuel economy, which detracts from one of the main reasons large vehicles use diesel fuel to begin with – its overall efficiency. Diesel fuel is less refined than gasoline. This means that it allows more carbon buildup in the engine. If the carbon is not removed, the diesel vehicle will not run as efficiently as possible. In winter and other seasons, it’s crucial to keep the combustion chamber clean for the truck to run at its best. The most common cause of engine stalls and “no starts” for diesel engines during winter time is a clogged fuel filter. When your fuel is at risk of gelling, a dirty fuel filter can be your worst enemy. The paraffin crystals that begin to form in your fuel can easily get stuck in a dirty fuel filter and cause the fuel to get cut off and prevent starting the engine. To avoid this problem, be certain to change the fuel filter at the beginning of the winter season. Furthermore, keep a backup fuel filter in your truck during colder months. This way, you’re always covered in the event you need a new filter ASAP and the local parts store doesn’t have one in stock. 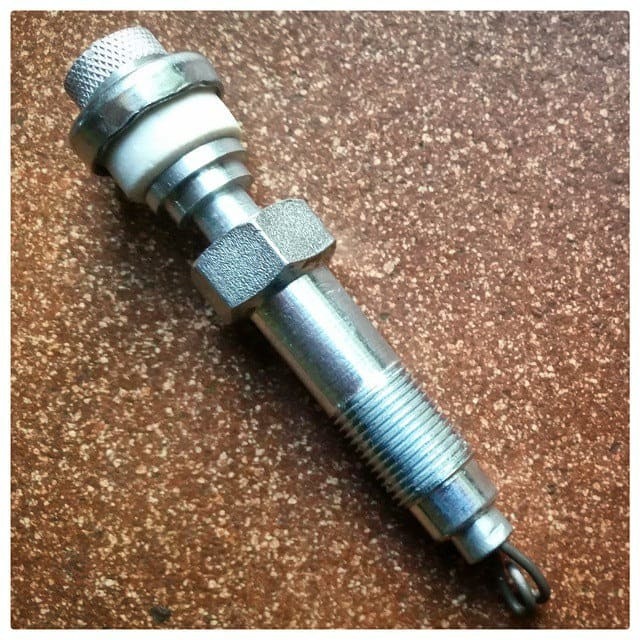 Glow plugs are essential for a diesel truck to properly start, as they heat the cylinders so the fuel will ignite. Just one or two glow plugs that go bad can cause the truck not to start in cold weather. Most modern diesel trucks will alert you when your glow plugs are fault by giving you a check engine light on your dash, however older model vehicles may not. You can use a multi-meter to get the resistance of your glow plugs. It’s important to do this yourself, or have these tested somewhere, at the start of the cold weather season to avoid diesel problems in the winter. Check the dipstick to see if the engine oil is fluid. If the engine oil is completely solid, do not attempt to start it. Doing so could damage the engine. For engines that have solid fuel, use an external heat source to return the oil to a liquid state. This can be a blow heater, steam line or even the exhaust from another vehicle. If the engine oil is still showing fluid on the dipstick, you can attempt to start it. If it will not start, then it may be due to wax crystals in the fuel filter. If the fuel is not flowing well or looks hazy, and the engine won’t start, it needs to have heat using a steamer or blow heater. After the engine successfully starts, run it at low speed to get it warm before driving it. Give the engine plenty of time to avoid problems on the road. Winter can be a great time to own a diesel truck as demand for heavy-duty vehicles can be high during cold weather for a variety of types of businesses and trades. It’s important to ensure that your truck is going to perform well, year-round. With these tips, you can keep your vehicle running in cold weather without fear of common diesel problems in the winter.